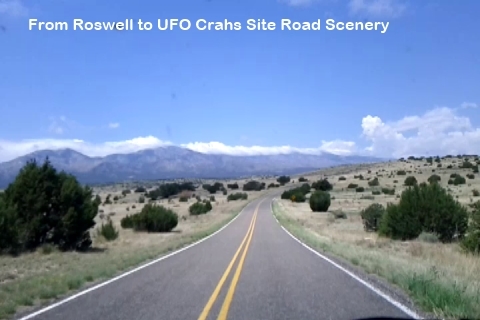 Roswell, the famous UFO crash site, is located in the middle of the New Mexico. Getting there itself is little bit hard, long long driving from main highway. 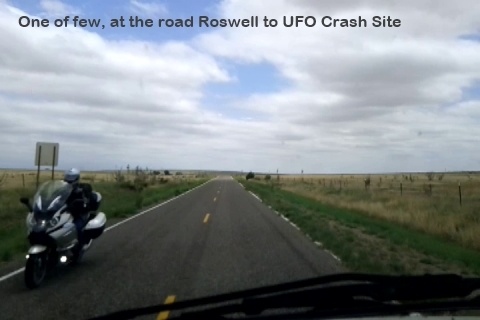 The Roswell is not small or midium size town, but small size city; I thought that Roswell is small town. 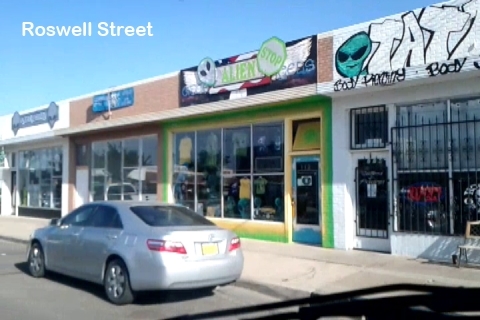 In the downtown, there are many little alien stuffs around. 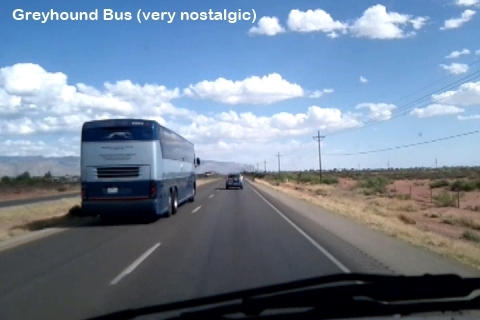 But I don't see many tourists at all; wondered why? Maybe the seasonal? Or, other reasons? There is the Wallmart where I could stay the night parking, fortunately. 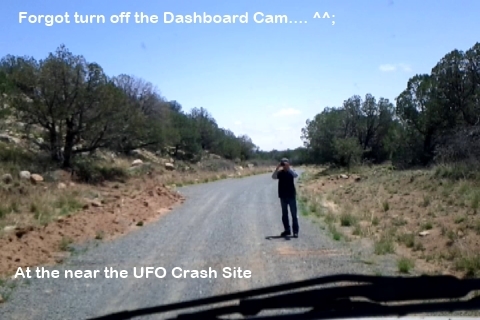 Little late afternoon, so I decided to visit in the next morning at the actual UFO crash sites instead of visiting UFO Museum or Visitor Center. 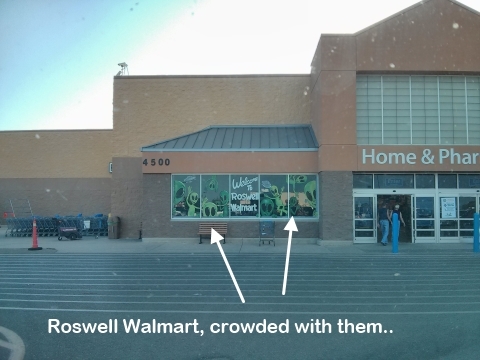 There are no other Wallmart campers around at night; I was alone as long as I noticed. 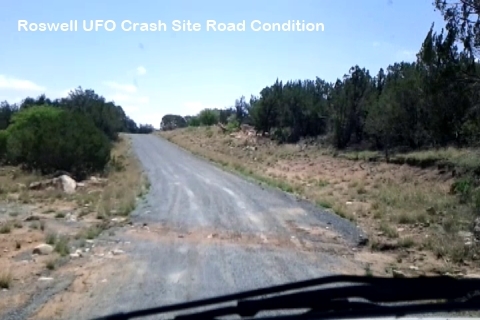 Next morning, packed and went to the actual crash site; researched crash site location from internet and found that the crash site is inside private land, and public visit is not allowed inside or around it. However, I tried to go as close as I could. 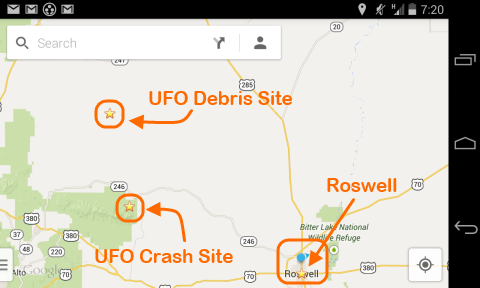 The road distance from Roswell to crash site is about 50 miles apart. Road scenery is really wonderful and no traffic at all, all I see is the large ranches around the roads and many Eagles flying by. After an hour of driving, finally, I had arrived the side road to the crash site, the side road is the loosed gravel road and not maintained at all. 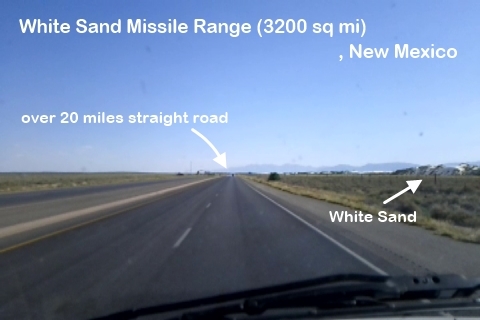 At the south end of the road is the high mountain; now I know why the UFO chrashed... ha ha ha Wondered if I could get in there with my large RV? There are no place where I could unload or load my bike to use; and no any one is in the sight; I'm alone at. 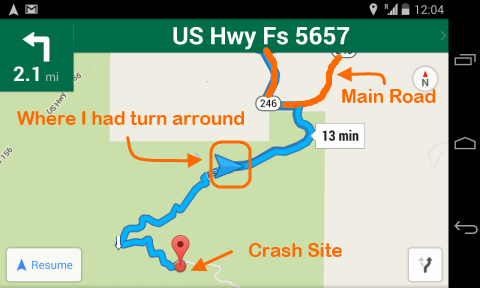 Just 3-4 miles from main road, tried...but failed after 2 miles of driving. 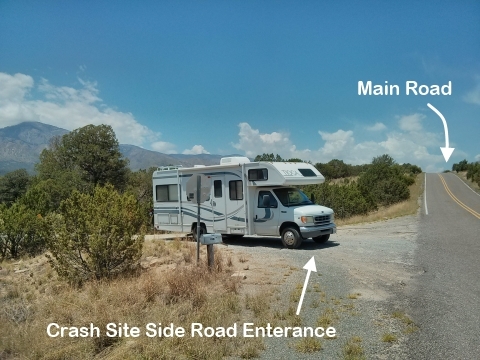 Road was too narrow to pass for my RV and the condition of the road wasn't good for RV; I think that 4x4 or off-road truck may be needed for it. 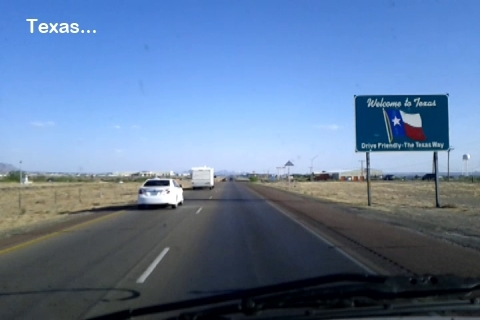 I had to turn around and back to the Roswell. 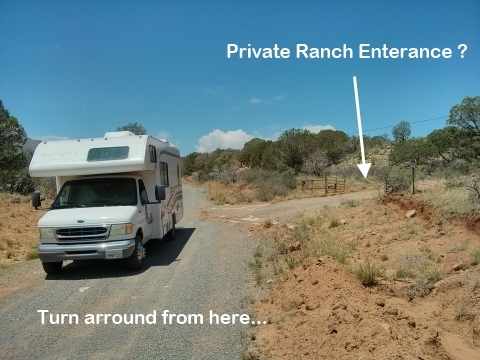 I could just walk to the crash site, but there are road sign says that Private; which means that. At least, I tried. 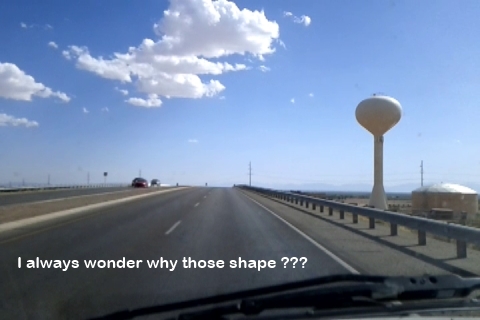 I satisfied by road trip to the site alone; really nice roads around for an hour driving.